Printed on recycled paper. Made in USA. No additional postage necessary. Front: Friendship - The relationship that makes life livable and laughable. 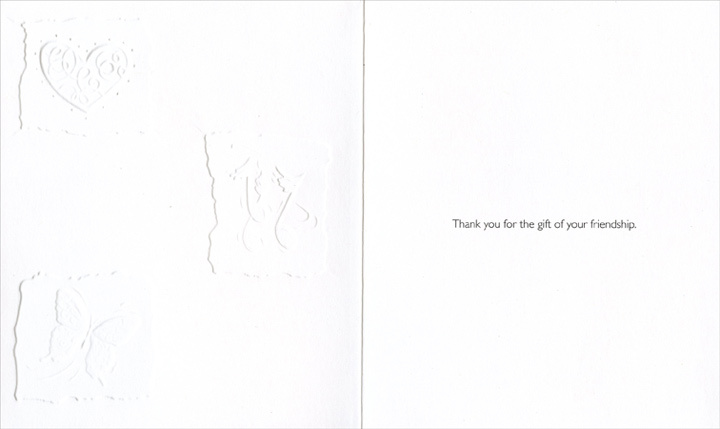 Inside: Thank you for the gift of your friendship.